Ah, Thanksgiving… That time of the year when we sit around a table with friends, family, and people that we invited over to our house out of guilt. It’s a time when we are supposed to put aside our differences, and enjoy each other’s company. And, for the most part, families generally manage a day or two together without getting “into it” over political differences… But there’s always that one Obama fanatic, social justice crusader, or anti-gun Bloomberg disciple that feels no shame in dragging the entire dinner table into an MSNBC style shouting match. 1: For many liberals, even the mention of a gun will be enough to get them visibly irritated, but openly carrying all day is ideal. If circumstances prohibit the carrying of a 1911 in plain sight all day, feel free to merely bring guns up in casual conversation. Explain that next year you want to shoot your own turkey. (If they prefer tofurkey, offer to shoot that as well – just for sport.) If you can cling to a bible as the same time, that would be preferable. 2: Explain that the official White House Turkey was not given a pardon… Obama just gave it amnesty. If you’re feeling especially obnoxious, question the Constitutionality of such actions without the consent of Congress. 3: Words matter. 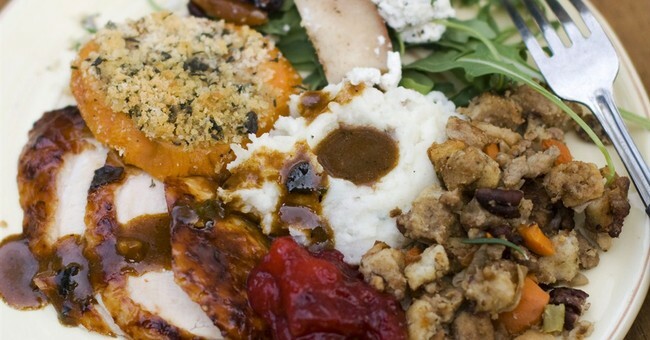 Don’t “serve” the turkey… “Redistribute” food among your guests. (You can probably come up with something about “spreading the wealth around” if you think hard enough about it.) When someone expresses their preference for white or dark meat, be sure to turn it into a racial thing. 5: Seat all the liberals in your family at the kid’s table. After all, they’ll be more comfortable with their intellectual peers. Thanksgiving shouldn’t generally end with yelling matches, name calling, and references to Nancy Pelosi. This is supposed to be light hearted fun, at the expense of political politeness. After all, a family that can’t have fun with their political divisions most likely has deeper problems than a mere difference in opinion. So, be thankful for each other… Even if some of them are thankful for Obama. Without the leftists in our lives, the rest of us would never know how right we are all the time.